Movie Synopsis: A remake of South super hit Pokhiri. Movie Review: The movie is carried by Salman star power alone, with the movie making big news headlines during the shooting and promos, it has opened to good opening. The movie is a masala film, with lots of fights and takes us back to the basic of movies, to entertain. Vinod Khanna is left in the back, while Mahesh Manjrekar is getting better with every movie. 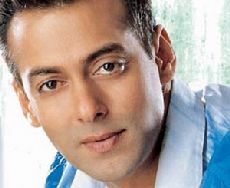 Ayesha Takia Azmi is good and the pairing opposite Salman is good. The movie will do well with the masses and it is not a family movie.